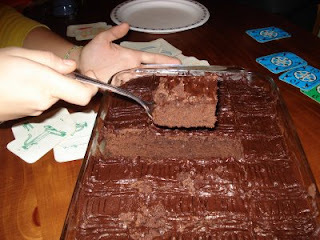 I started making this chocolate cake back in 1992 when I found it in a church cookbook. The contributor of the recipe is actually my friend Shirley's mom. I have made it countless times and as she suggests in the recipe. . ."Always turns out good!". It makes a large angel food pan but I have kept a little batter back to make a dozen cupcakes and the cake it still plenty big enough if you are planning on slicing it and filling it. A chiffon cake has a very tender, moist crumb. Mix together the cocoa and the boiling water or coffee and allow to cool. On a large sheet of waxed paper, take a sieve and run your flour, 1 1/4 cups sugar, baking soda, and salt through it two times. When you separate your eggs, break the egg white into a small bowl first and then add it to the rest of the egg white in a large glass or metal bowl that you have rinsed in hot water to make sure there is no grease in it. Put the egg yolks into a medium sized bowl. Beat the egg whites with the remainder 1/2 cup sugar until stiff peaks form. 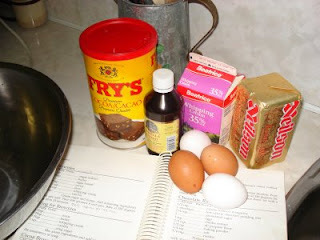 Add the oil, the egg yolks, the cocoa mixture and the vanilla. Slowly stir in the egg whites with a spatula, put in a bit at a time, and be gentle. Pour the batter into an angel food pan. Bake the full cake at 375 for about 60 to 70 minutes. Poke a toothpick into the crack to make sure it comes out clean. 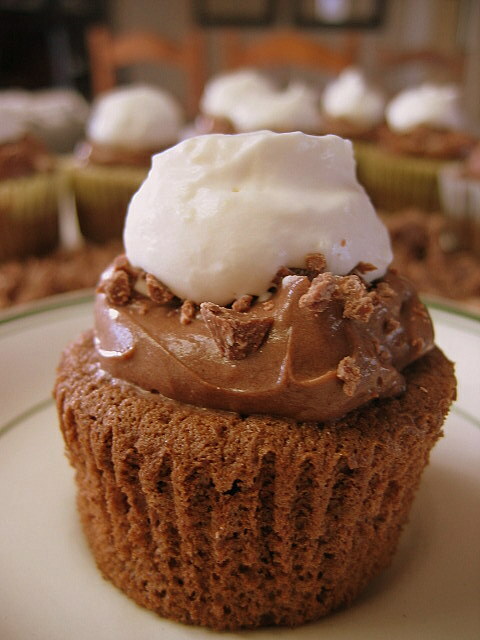 For cupcakes, bake about 15 minutes and then poke with a toothpick to test to be sure it is done. For the chocolate pudding icing. Beat it together until nice and thick. . . I layer the pudding icing with layers of whipped cream and broken Toblerone bars. I really missed Wareneki on the gluten-free diet and tried several recipes, but couldn't get them to work for me. I finally came up with my own recipe , combining and modifing the recipes I had. Here is the one that I am happy with and my husband will also quite happily eat! That's important because I really don't care to make two meals. What I usually end up doing in that case is making his meal and I just eat 'whatever' ! Making this recipe today for lunch, I had to smile as I thought... "No one ever told our Mennonite grandmothers , who really knew how to cook, that 'Ach, das schmeckt aber gut!' (oh, but that tastes good!) translates to.. 'Oh my, what a lot of calories !!!' "
4. 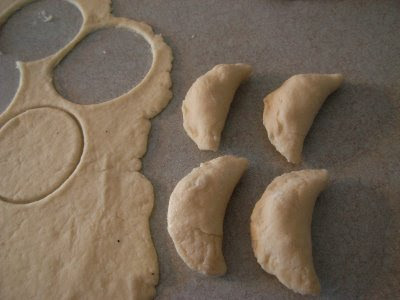 Roll dough out as thin as possible and cut out your circles using cookie cutter or tumbler. 5. add your prefered filling and pinch edges of wareneki firmly. Drop frozen wareniki into boiling salted water with a tbsp of oil added... Boil for about 5 minutes. 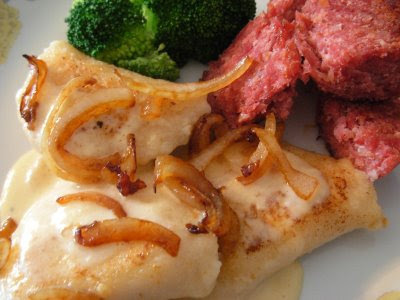 Drain and brown in butter in frying pan -- then serve with cream gravy and fried onions. I also like (actually prefer) to use the dough in the following way. Then slice the roll the width you want your noodles to be.. I find between a 1/4 to an 1/8 " works well. Boil them for several mintues in salted water, then drain well in collander. Transfer to frying pan and brown noodles in olive oil and butter. Add 1/2 cup dry cottage cheese and heat through. PS. Leftovers reheat well in the microwave. These cookies were one of the treats served at my daughter's baby shower. This recipe comes from her friend Chelsea who hosted the shower. They are very moist and lemony. Remove cookies to cooling rack and glaze while still warm. The glaze will set almost immediately. I am grateful to Lana S. for this recipe. Our family loves it with chicken, turkey or pork roast dinners. I say, people who don’t care for it haven’t tasted it! Saute onion in a small amount of oil and stir frequently, cooking on medium heat until onion is soft. Cut cabbage into wedges and chop thinly. Add cabbage, vinegar, sugar, salt and then the apples to pot. Continue cooking, (turn down heat) stirring every once in a while, until cabbage is soft and apples have turned the same color as the cabbage. (about 1 hour) You can make this a day ahead and reheat. Enjoy! I make caramel corn every year for Christmas. It is great for snacks! Use cellophane bags or festive tins and you have a tasty gift to give. This recipe is found in the 'Carillon Festive Food Recipes' cookbook. First of all I got out my trusty old popper and popped up some popcorn. Mix popcorn and peanuts in a large bowl. Set aside. Place butter, sugar, and corn syrup in a saucepan and bring to a boil stirring constantly, turn heat down to medium heat and boil 5 minutes without stirring. This will bubble up..gradually pour over the popped corn, mixing well. 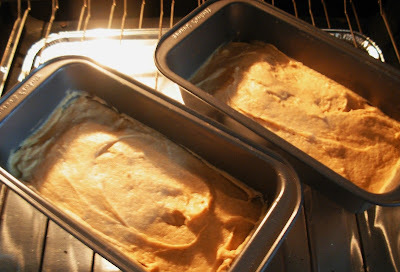 Pour into 2 large shallow baking pans, I have a large bakery size pan that fits my oven so I use that. Bake at 250º for 1 hour, stirring every 15 minutes. Remove from oven and cool completely. Break apart and store in airtight containers. You can find all kinds of wonderful ways to do roast chicken on different cooking sites. There are recipes that call for spreads to be put under the skin, savory bastes, ideas on how to add flavor etc and I know they are very good. The only problem I have with most that I’ve seen is that they don’t give you enough roasting time. The reason being (I think) is that you don’t want the meat to dry out. I have found, however that if you roast the chicken on its tummy (breast down) it does not dry out and it tastes better. My recipe is very basic, but it gives you a good start if you’ve never roasted a chicken, and you’ll find it surprisingly flavorful too. This is one of my favorite meals. Wash chicken and remove any extra fat. Season inside and outside with salt, pepper and some Lawry’s seasoning salt. Place, breast down, in roaster and roast with lid OFF for 1/2 hour at 375 F. Turn down temp to 325 F or 350F and continue roasting with lid ON for another 1 – 1/2 hours, during which time you can also add vegetables such as: potatoes, yams and/or carrots. (broccoli only needs about the last 20 minutes) Sprinkle vegetables with a little salt and pepper. Place roasting pan on stove-top element. Mix 2 tablespoons flour and 1 cup water well in a small sealed container. 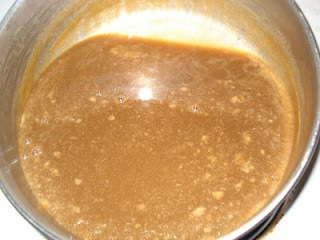 Add to hot gravy drippings in roasting pan, cooking and stirring continuously, until done. To thicken add more flour water mix, to thin add more water. You can serve it whole (family style) or carved. To carve a small chicken like this you are pretty well just removing the skin and bones. Lay the chicken on a cutting board on its tummy. Remove wings and legs. Cut through each leg at joint to separate into drumsticks and thigh. Remove any small parts of meat on the back and then discard the bones. Turn over and take the breast meat off the bone and slice. If the chicken is well done it will all come off very easily. Drizzle with a small amount of gravy and serve or put back in 200 F oven (covered) to keep warm. Tip: If you plan to do a larger roasting chicken for company, count ½ hour/lb for roasting. Plan to have it ready 30 min. before serving time so you can make gravy etc. while it rests. This way you’re not trying to do five different things at once when your company walks in. My two granddaughters are beginning to enjoy baking in the kitchen and my daughter is quite happy for them to learn. This afternoon my ten year old wanted to make cookies , all by herself. So my daughter showed her the recipe and laid out the ingredients for her. All seemed to be going well.. and soon the cookies were in the oven. After some time my granddaughter came to her mother and said... "Mom, I think I made a mistake in the recipe ... the cookies taste a little salty!" My granddaughter had put in 1/4 CUP of salt, and 1/4 CUP of vanilla !!!! 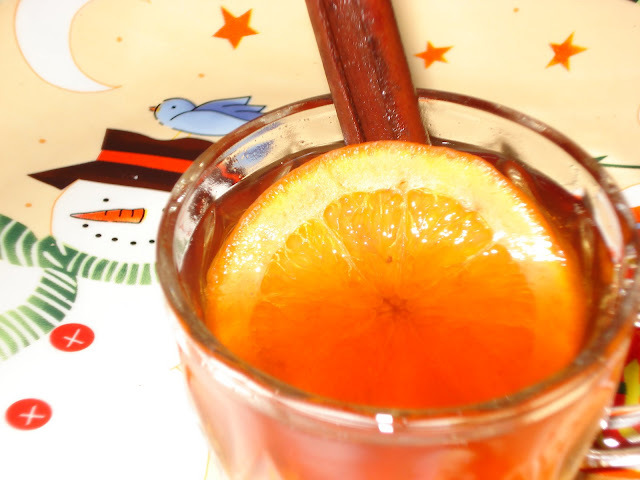 This recipe is a combination for equal parts cranberry juice and apple juice. I used a combination of apple and cranberry for our party and it went over very well. If you prefer just apple use two litres of apple juice. may add brown sugar to taste if you feel you want a sweeter cider. Combine all the ingredients in a slow cooker or in a large pot. Heat on low for several hours if using a slow cooker or if you are using a pot just heat until warmed through. Keep on low heat. It fills the home with a real nice aroma that just feels good when you enter! This is such a simple and tasty recipe that I got several years ago from one of our volunteers at Crisis Pregnancy Center. This Rumaki was a crisis line Christmas tradition, she no longer volunteers with us but the tradition lives on! You cut the bacon in half. Put on broiler pan so that they won't unroll while baking with the cut end at the bottom. Brush with equal amounts of ketchup and brown sugar. Put back in the oven with the broiler SHUT OFF for a few minutes to set the glaze. Can be made ahead and reheated or frozen til you need them. Make lots, they go fast. This is my favourite way to do pork chops. With pasta or rice and vegetables it was the perfect meal for a cold November night. In large skillet or electric frying pan, brown pork chops or medallions. Add 1/2 cup water, brown sugar, onion, ketchup, garlic, bouillon cube and mushrooms. Cover and simmer about 30 minutes or until tender - this will depend on the thickness of the pork pieces. If needed, add a little more water. Remove meat to serving platter and keep warm. In a small bowl, combine flour with 1/4 cup cold water until smooth. Slowly add to liquid in pan, stirring constantly until sauce thickens. Stir in sour cream, whisking it in until well blended. Heat thoroughly but do not boil. I wasn't home from vacation for an hour before I starting mixing muffins. After being on the road for some time...we were quite ready for something hot and fresh from the oven. 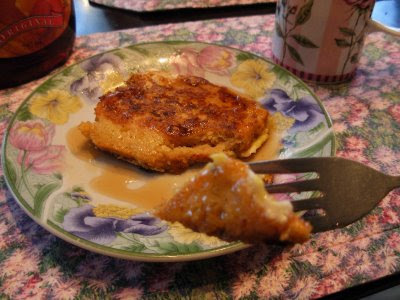 I got this recipe from a gal at church a few decades ago...and we always enjoy them. In a large bowl, stir together flour, sugar, baking soda, salt and cinnamon. In a separate bowl, beat eggs. Add bananas, pineapple and oil and beat until blended. Stir in raisins or nuts (we prefer golden raisins). Spoon into large greased muffin cups filling two-thirds full. Bake at 375 F (180 C) oven for 20 minutes or until tops are firm to the touch. Serve warm with butter...or cheese. If you can't finish them all in one sitting, they freeze well and are great to have on hand. Is a Celiac Coming to Dinner? One of the hardest things about being Celiac is watching my friends and family struggle with it. The people in my life are so sweet and eager to make something I can eat. The ladies in our church bible study group all have made the effort to learn what I can and cannot have and all of them go out of their way to adjust the goodies they serve. I really don’t expect people to do that, but I embrace it as an expression of their love and am deeply touched. I thought maybe I would share just a few tips for those of you who feel lost about what you can or cannot offer when a Celiac comes to visit! The basics - It is the grains Wheat, Barley and Rye that contain the gluten protein that causes the immune system of Celiacs to react by destroying the villa in the small intestine! Untreated Celiac leads to cancer, and other autoimmune diseases such as Lupus or Rheumatoid Arthritis. Celiacs do not have an allergy or intolerance to gluten...they have an autoimmune disease which has no cure but is totally controlled by avoided ALL gluten. NOTE - Although oats do not have gluten, they are grown in alternating crops with wheat, so there is cross contamination. Gluten-free oats are now available made from oats grown in virgin fields. ‘Only Oats’ is one label. 1. Some Celiacs are more sensitive than others…..but it takes a very tiny amount of food with gluten in it to make them sick. So cross contamination is a very serious consideration. You would never cut a slice of gluten-free bread on a cutting board that you just used for regular bread. Wiping it isn’t good enough.. it needs to be washed with a good scrub. Some things like colanders where reg. 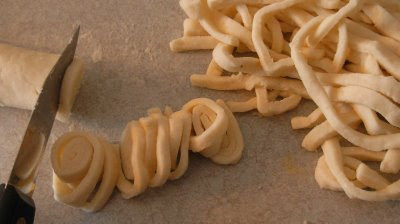 pasta is strained, even WITH washing can have traces of gluten stuck to them. So make sure that you use utensils from the dish washer in preparing gluten-free food. 2. Celiacs appreciate fruit, vegetables, cheese - the things that are obviously gluten-free. Rice crackers are fine… (I never buy them anymore because I’m sick of them .. but that way I’m OK with eating them when I am served them at someone else’s home) Rice cakes are good used as a ‘pizza bun’ substitute. 3. I think I speak for most Celiacs that we prefer ‘real’ food to most “gluten-free” substitutes. If we still remember what real food tastes like, the substitute is at best tolerable or worse ! smile… The good news is that there are more and more better-tasting products out there making the options much more palatable. Making your favourite dinner recipes with minor adjustments is great ! That way everyone is happy! But be sure to read the labels on all your ingredients…. Gluten can be lurking anywhere and DOES !!! 4. Be careful with gravies and sauces. Thicken them with cornstarch or sweet rice flour. There is now a new gluten-free product called 'Thicken Thin’ that is great ! 5. Watch your recipes with canned soups. Almost all canned soups have gluten in them. Soya sauce has gluten. There is a Gluten-free Soya sauce that you can buy in the USA but I have not found one in Canada. Some bullion cubes are gluten-free but not all. Spices and flavourings can have gluten. Anything with ‘malt’ flavouring is glutened – malt is made from barley - so cereals, like corn flakes or rice crispies are out. Nature Path has a gluten-free cornflakes sold in most grocery stores. 6. Gluten-free mixes are readily available now .... that allow you to make a dessert - cakes, cookies or muffins, quite easily. I would like to encourage some of you long-time Celiacs or those of you living with Celiacs who have other helpful hints please express them in the comment section and I will transfer them (with credit to you !) to this post .. making it a resource for people nervous about having Celiacs come to visit ! 1. Heat milk and butter until hot to touch. Cool somewhat with ½ cup cold water. 2. In mixing bowl, mix 1 1/2 cups of the flour, sugar, salt and yeast. 3. Stir hot liquids into dry mixture. Mix in the egg, then 1 1/2 - 2 cups flour, to make a soft manageable dough that does not stick to sides of bowl. 4. Cover and rise 20 minutes. 5. 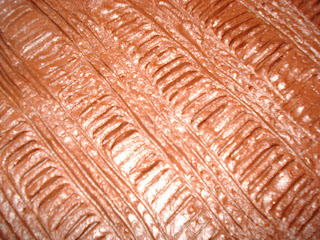 Roll out on floured surface into 16 x 9 inch rectangle. 6. 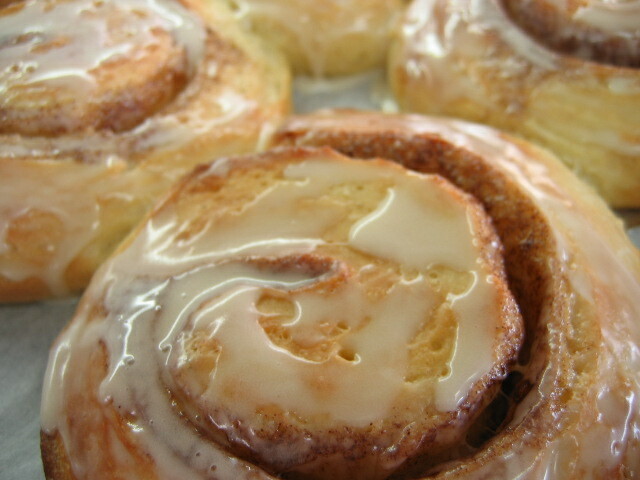 Brush with melted butter and prinkle with cinnamon filling. 7. Roll up jelly-roll fashion. Place seam down, shaping into a circle on greased or parchment paper lined pizza pan, folding ends one inside the other. 8. Cut 2/3 of the way into ring at 1 inch intervals. Turn each slice a little outward, on its side. Cover and rise about 45 min. Bake at 350 F, about 20 min. Slide off pan onto wire rack to cool. 10. Decorate with red and green candied cherries and sprinkle with slivered toasted almonds. I don't think there is a more traditional Mennonite Christmas Cookie than this one - unless it is the Ammonia Cookie. As far back as I can remember any Mennonite woman worthy of her kitchen made these cookies. They are my husband's all time favorite. I decided to try to make them gluten-free this year and my husband could not tell the difference from the real thing. Beat syrup, supar, sour cream, lard, and vanilla until well blended. Mix well, then add more rice flour with your hands a little at a time until you have a soft, non-sticky dough. Roll out on surface sprinkled with sweet rice flour as needed to keep dough from sticking I found rolling out the dough in smaller amounts easier to handle. Cut with round cookie cutter and drop your favorite jam on each round. Traditionally half the cookies were made with yellow jam (apricot or gooseberry) and the other half with red (plum) and when they were served you never knew which color you would get. Fold the circles in half and pinch the edges firmly together. Place on baking sheets and bake at 375' for about 15 minutes or until edges turn brown. These cookies are hard when they cool.. then they are stored in a sealed container and by the next day are soft and delicious. The cookies may be either left plain (as my husband prefers them) or frosted with the following frosting. Then pour syrup over one stiffly beaten egg white , continuing to beat until stiff and smooth. The old Mennonite ladies would then put the cookies in a large bowl and pour the frosting over top using their hands to coat them.. I find it easier to put a rack over waxed paper, put the cookies on the rack and pour the frosting over them. Let the frosting dry before you put the cookies in containers. For you non-Celiac bakers I have the regular original recipe here. 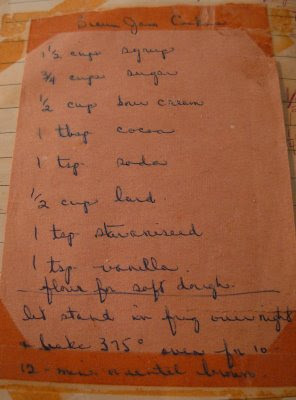 I was given this recipe by my Aunt Betty 37 or 38 years ago and taped it into my Mennonite cook book that we were given for a wedding present 43 years ago. The method is exactly the same as for the gluten-free ones above. I have a book recommendation for you. If you love to bake bread but don't enjoy the kneading process, but do have patience, this cookbook appears to have many wonderful recipes. Artisan Bread in Five Minutes a Day by Jeff Herztberg and Zoe Francois. Check out the link to find out more about them and their discovery of no Knead Bread. In a large bowl, mix together the eggs, water, honey, melted butter, yeast and salt. Cover with plastic wrap and refrigerate overnight or up to 4 days. Letting it sit in the refrigerator is apparently what gives the dough such a great flavour. Take the dough out of the fridge and cream together your filling ingredients. Cream this together well. 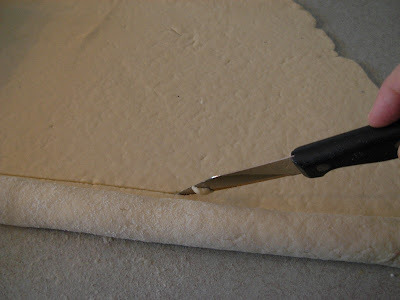 Roll the dough out. . .I did quite thick, spread the filling on and roll up and slice with a serrated knife. Now, I put half of them on a cookie sheet lined with parchment paper and put them in the freezer, where I let them freeze and then put them in a ziploc bag. The next day, I took them out at noon and let them thaw at room temperature and then baked them. It took 3 hours from freezer to icing them. If you don't want to freeze any let the buns rise about an hour or until nice and puffy. Preheat your oven to 375. Bake until golden brown. I made an icing of Icing sugar, heavy cream and again maple flavouring. This recipe comes from my sister by love. Patty makes the best brownies that I have ever tasted! My family happens to agree. She made brownies and tried a differant recipe, they were good as well but we all told her she was NEVER allowed to do that again.... :^). It is a tried and true recipe loaded with goodness like butter and whipping, how can that be bad? I made a 9x13 pan by doubling the recipe. How ever the original recipe is for a 8x8 and that is what is posted. Bake at 350 for 20 minutes. Do no over bake. Whip the butter adding cocoa powder and the whipping cream until smooth. Add in enough icing sugar to make a thick but spreadable icing. I asked my husband what name I should give to the soup I made today. When I told him what ingredients I'd used he came up with the above name. Crumble farmer sausage or hamburger into a skillet and cook until browned. Drain fat and place in a large soup pot. Add garlic, celery peppers, carrot and 3-4 cups water to pot. Add tomatoes, black beans or lentils, baked beans, corn, and tomato soup or sauce. Add spices and cook until vegetables are tender and flavours are blended - about 45 minutes, adding zucchini about 10 minutes before it's done. 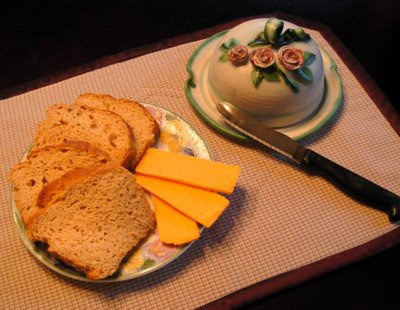 Garnish with cheddar cheese or sour cream if desired. This recipe originates from my home church cookbook and was submitted by Helen Fast. 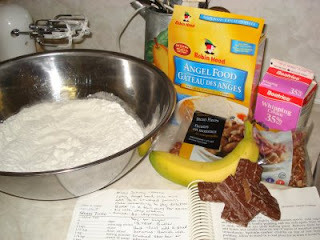 The cake recipe for the Angel food was long and involved, so I simplified it by using a cake mix. This is the one time that I have no trouble using a mix. I also modified it by adding bananas and crushed Skor bars. 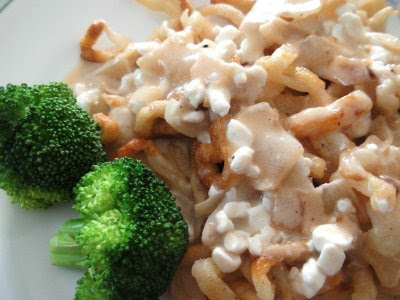 Banana and schmoo (caremael sauce) just belong together, a marraige made in heaven. I made this for our son's birthday bash and it needed to feed a lot a people so instead of making it into a torte, I made it into a trifle. I find that a trifle feeds more people and that is what I needed. It went over really well. Make cake according to the package directions, but first fold in the crushed pecans with the dry cake mix. Bake in a angel food cake pan. Let cook completely balanced upside down on a bottle to cool. Bring the whipping cream and brown sugar to a boil. Cook for 5 minutes on low. Take off heat and add butter. If you were to make the Torte version, you would cut the cake into equal thirds. 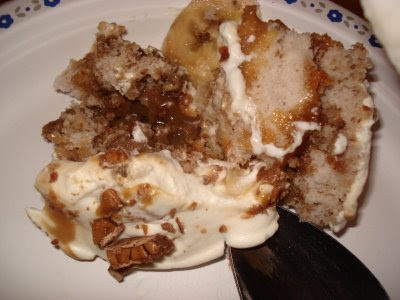 Drizzle each layer with schmoo sauce, bananas, whip cream and skor bits. 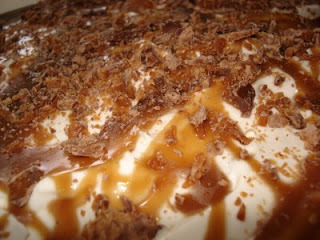 Ice with whipped cream, drizzle sauce decoratively, sprinkle with skor bits. I make extra schmoo sauce to pass around separately, you can never have too much schmoo! Topped it with whipped cream and skor bits. Just dug out the last of the carrots from the garden a few days ago, yes they were hiding under the snow and in partially frozen ground! Carrots are great, no damage. The crop is plentiful so decided to bake carrot cookies. I don't know where I got this recipe from, years ago I copied it into my recipe binder. These cookies are moist and flavorful. And simple to make! I'm into the 'cookie baking' mood, Christmas must be around the corner! Beat shortening, add sugar and beat until light and fluffy. Add eggs, carrots and vanilla. Beat well. Sift dry ingredients and stir into carrot mixture until well blended. Stir in nuts. 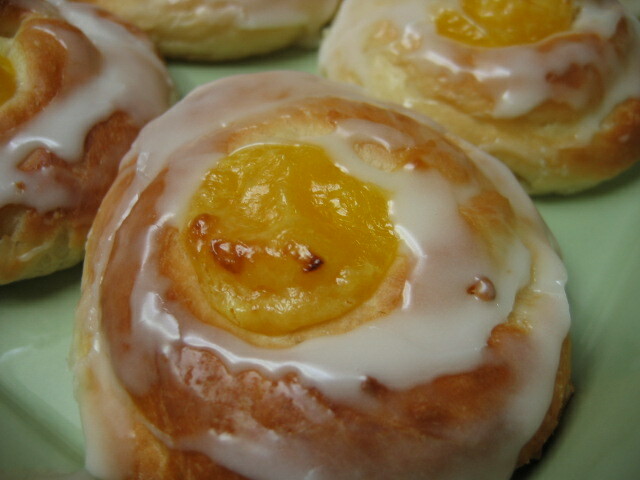 Drop by tablespoons on parchment lined baking sheet. Spread icing on cookies and watch them disappear...really!! Another favorite Christmas cookie! I love the festive look of these cookies. This recipe calls for red sugar for dipping but I think the green adds such a nice touch too. And this is another recipe handed down from my mother in law. These cookies are soft and have a bit of a chewy texture. And of course the little 'donut holes' are a perfect snack for a little munchkin! Stack them in a plastic bag, tie with a pretty ribbon and you have a perfect gift for someone special! Cream lard, sugars and lemon juice. Add eggs and blend well. Combine dry ingredients and stir in with lard, sugars, juice, and eggs, alternately with milk. The dough is a little sticky at this point but that's good. Cover bowl and refrigerate at least 1 hour or more. Roll out dough to approx 1/8" using as little flour as possible and cut with a donut cutter. Dip in red or green sugar. Cool on rack before storing. They freeze well. For those of you who will look at this and recognize it as something that Oma made, I wish I could add a scratch and sniff option to take you right into her kitchen. 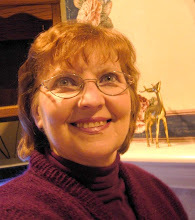 My Mennonite mother-in-law raised and fed 9 kids plus extras that came to the table. She did all the cooking with no recipe books; everything by memory. I’m sure that often she had to improvise and make do with whatever she had on hand, sometimes coming up with new recipes that way. One of my favorite things she made, when I joined the family, was sausage Bubbat. She usually served it with chicken Borscht and often had Plumimoos (cold fruit soup) for dessert. The Bubbat is very good with the fruit soup. As a newly wed, I attempted making this, but the words in the Mennonite Cookbook threw me for a loop. “Flour to make a stiff dough" followed by "Pour into greased pan." What did that mean? Much later in life I found out that my mother-in-law did have a written recipe and I grabbed it. When I tried making it according to this recipe, I called her up and I asked her, “did you put in 4 cups of flour, like it says?” She said, “Put in more if it’s not enough.” What’s not enough? I finally got it out of her that you should be able to stir it with a wooden spoon. So, that’s the secret. It all depends how strong your arm is. . . especially when the recipe gets quadrupled! 4 cups cut up (in bite size pieces) farmer sausage and/or smoked ham. Scald milk and add salt. Allow to cool so that it is only warm. If using regular yeast, dissolve it in the ½ cup water with 1 tablespoon sugar, as usual. If using instant yeast, add ½ cup water to milk and add the dry yeast to the flour. Beat eggs well, adding liquids and then stirring in the flour. Stir in sausage and ham. Spread into greased 9x13 inch pan and 1 loaf pan, or all of it into a larger cookie sheet. Cover with plastic and let rise 1 hour. This recipe has been handed down from my husband's grandmother. It is a Christmas favorite! I always bake the first batch when we have our first snowfall and that happened this weekend. I make these cookies fairly large then cut them in half to serve. Those instructions were also handed down as my mother in law used to say 'they taste the best when they are large.' Although the second batch I make are smaller. I make up cookie plates to give away at Christmas so all the cookies I bake for that have to be smaller or there wouldn't be room for variety! I've had many requests for this recipe. Boil water and sugar for 5 minutes, add cranberries and boil gently till cranberries pop, approx another 5 minutes. I cooked them a few minutes longer. This recipe can be found on the bag of cranberries, the only thing I change is the amount of water. You won't need all this filling for the cookies but I like to cook the whole amount at once and either use it up for other recipes or eat as a side with chicken or turkey. Keeps in the fridge for a few weeks. In a medium sized bowl beat butter, lard, and sugar together until fluffy. Add eggs and beat well, then blend in sour cream and finely grated zest of the lemon. Add baking soda to the juice of the lemon and mix into dough. The juice will foam once the baking soda is mixed in. Whisk together flour and baking powder and stir into the dough. The dough will still be sticky but that is how it should be. Cover bowl and refrigerate at least one hour. You can refrigerate overnight if you wish. 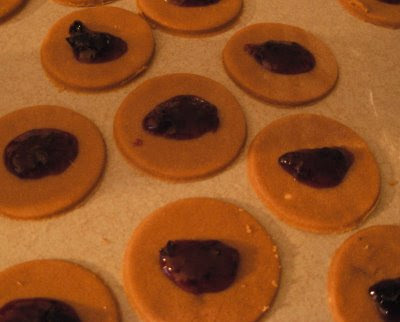 Roll dough to approximately 1/8", cut with a 2 " round cookie cutter placing approximately a rounded teaspoon of cranberry filling in the middle of one round, place another cookie round on top and pinch the two together with your thumb and finger to seal in the filling. Place on parchment lined baking sheet and bake at 375º for 12 to 15 minutes or until light golden in color. 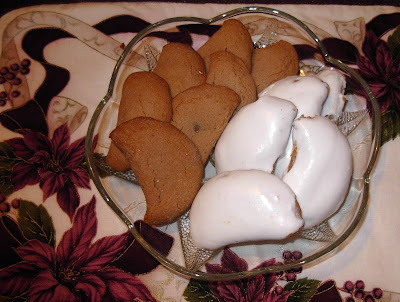 Allow to cool and ice cookies with almond flavored icing, then dip into angel flaked coconut. 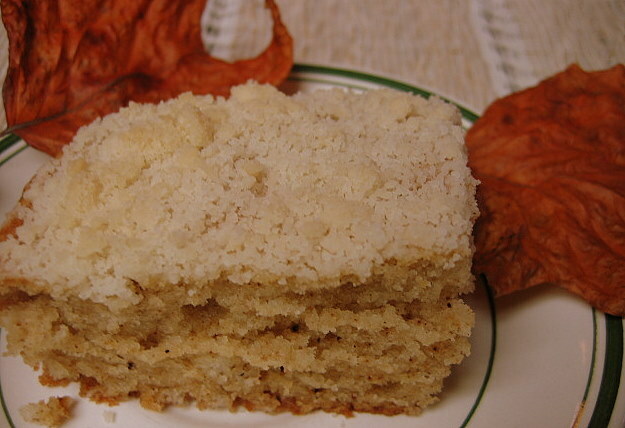 I've been eating this crumb cake since I was in grade 9 when I started to date my beloved, and his mom made this often for his lunch. I have made it countless times and it turns out moist and the fragrance is out of this world. The method is easy peasy so put away your mixer. My mother in law is such an awesome baker and cook, I can't count the number of recipes that she has shared with me. Cream the butter and sugar in a medium bowl. Add the flour and blend together. Take out one cup of the above mixture and set aside. To the remainder, add the baking soda, and the spices. In a small bowl, beat the egg until foamy. Add the buttermilk to the egg. Spread the batter into a greased 9" square pan. Sprinkle the set aside crumbs evenly ontop of the batter. Bake at 350 for 40 - 50 minutes. 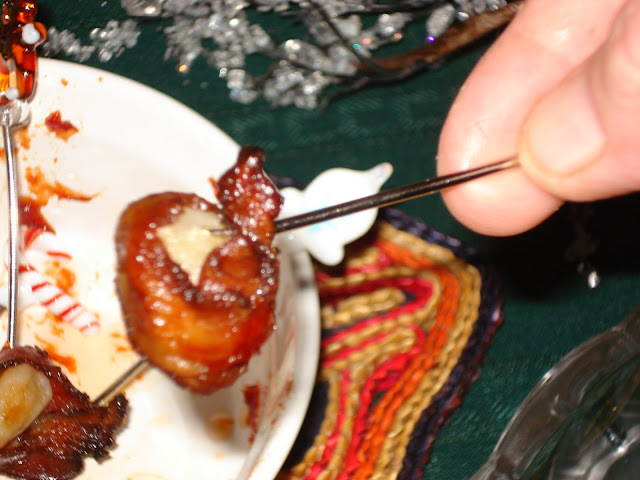 Stick in a toothpick at 40 minutes to check for doneness. The toothpick should come out clean. Bread!! The one thing I never thought I could live without! I used to joke that if ever I was put on a bread and water diet, I wouldn't suffer a bit!!! But alas... I found out I was Celiac... and that the bread and water diet could kill me! So I looked and looked for a gluten-free bread! 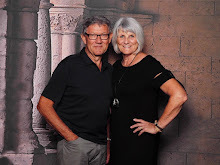 I VERY quickly found out that the taste, the texture, the smell, the GLUTEN could NOT be duplicated.... and I finally just resolved to live without bread... the gluten-free 'bread' was not worth the exercise of slicing! I discovered white bean flour... which is a little hard to get but some shops that carry gluten-free flours will order it in for you! Or you can order it on-line from Bob's Red Mill. And yes... it passes my litmus test! Non-Celiacs like it! My daughter's mother-in-law said it tasted just like the bread her mother used to make! 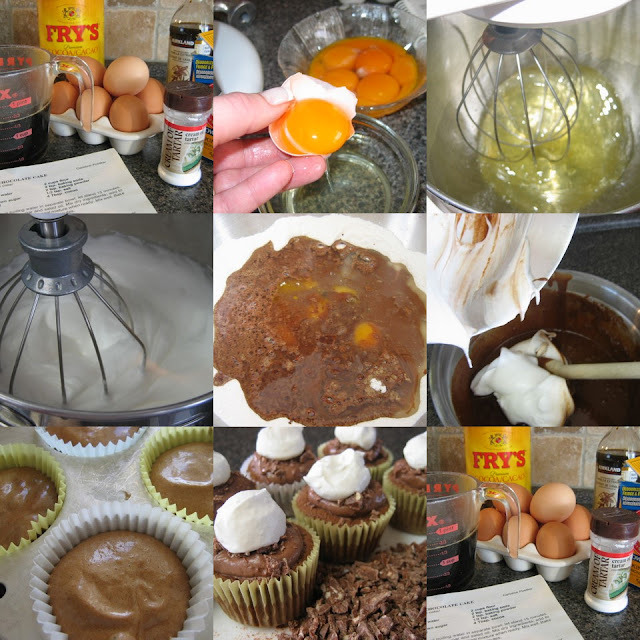 So if you are Celiac or are baking for a Celiac, I am soo happy to share my recipe! Mix 1 tsp sugar and 1 tsp gelatin, stir in the 1 cup warm water, then stir in yeast - let proof. 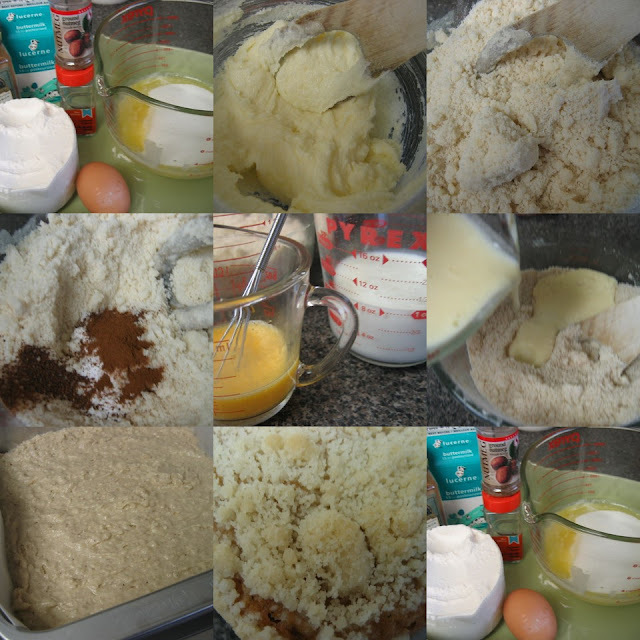 In heavy duty mixer beat eggs slightly, then add other wet ingredients including proofed yeast. Sift together dry ingredients and then add to the liquid, beating hard for 3 or 4 minutes . You will see the batter change and become smooth . (Consistency needs to be right.. batter that is too thick will not rise .. too thin it will rise and then fall. If it looks like a too-thick cake batter then it is probably just about right!) While you are mixing the dough, you will smell a slight beany smell from the 'bean' flour... but this is the only time. When it is baking or you are eating it, it has a very 'whole-wheat' bread smell and taste! This recipe makes one regular size loaf, but since I have a daughter who is also Celiac I divided the dough into two mid-size pans so I have a loaf for each of us. I line the bottom of the pans with wax paper and lightly oil the pans. Gluten-free baking tends to stick more than regular wheat flour. 6. To rise I put the pans in the oven with the oven light on....and cover the pans with a towel. Let rise for about an hour until loaves round over the top of the pan. 7. Bake for 45 minutes at 350' F - or until tops are nicely browned - do not underbake. This bread keeps well, also freezes well and after the first day is good toasted ! PS. Karen asked some good questions in her comment and I thought I would just post the answers here for others who might wonder the same questions ! "have a bite and see!" This bread stays soft on the counter for several days.. and after toasting does NOT turn to cardboard or cement! and Yes.. you can use it in casseroles or in your hamburger patties mix if you are used to adding bread, or make your own croutons. When I was growing up, my mom used to occasionally pick up a jar of Nabob Lemon Cheese at the grocery store. She would use it in tarts and sweet buns, and we loved it on toast. They quit making Lemon Cheese and we were left with Lemon Spread. We bought one jar of that, and we never bought another. From then on, my mom made Lemon Cheese, or Lemon Curd if she needed a nice Lemon flavour. For the butterhorns that I just posted, I whipped up a small batch of Lemon Cheese. I made one cup, if you prefer, you can double this recipe and store it in the refrigerator for one week or freeze it and thaw it in the refrigerator. The recipe I use now, can be found in the Better Homes and Gardens Cookbook. . .which claims to be the # 1 Cookbook since 1930. . . I made a half recipe and that is how I will post it here. In a small saucepan stir together the sugar and the cornstarch. Stir in the lemon peel and the lemon juice and water. Cook and stir over medium heat until it has thickened and is bubbly. 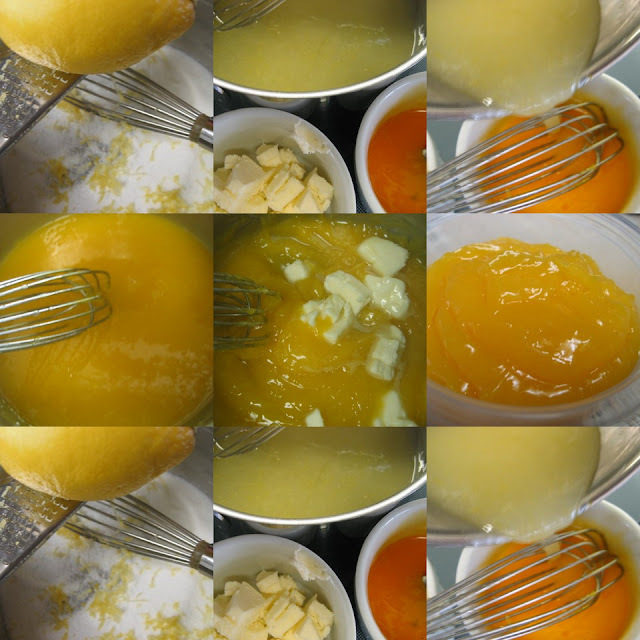 Slowly pour a wee bit of the hot lemon mixture into the bowl where the beaten egg yolks are. . .stir with a small whisk. Slowly add a little more until you have added about half of the hot mixture. If you do this the opposite way, the cold eggs into the hot mixture, you will have scrambled eggs ala lemon sauce, so a little hot into the cold egg yolks. Add all the egg mixture into the remaining hot mixture and continue to cook a few minutes. . .continue stirring the whole time. Remove from heat and add the cubed butter and stir well until smooth and glossy. Cover the hot lemon cheese with plastic wrap . Put the plastic wrap against the surface of the lemon cheese to avoid condensation forming. 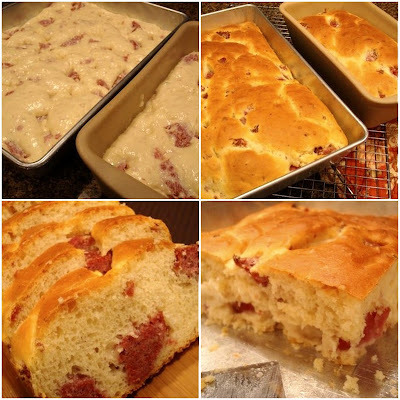 This recipe is from my friend Vicki. She is an amazing cook. Each time we are guests in their home I look forward to what she will serve. I am never disappointed! I have used this wing recipe for quite afew years now and the recipe is asked for almost each time. I usually buy 2-3 packages of fresh wings and mini drummettes at Costco and divide. When I need an appie it is so easy. Just thaw and bake. Marinade wings in sauce for several hours or over night. Line a baking sheet with foil. Bake @ 300 for about 2 1/2 hours. They get more 'sticky' and flavorful the longer they bake. Every half hour I base with the sauce in the pan and turn the wings. These can be kept warm on low in a crock pot. They are best fresh, but I have baked them the day before and heated in a crock pot or dutch oven.